The American Red Cross has touched my life and family in so many ways. My earliest memory of learning about the Red Cross was when I was five years old. My grandmother Agnes Patoka (fondly known as Nana) would put me up on her lap and read children’s books when I would come to her house for visits. My favorite books however-were her old photo albums which included many photos of my father as a child. She would reminisce and explain in detail every photo and always explained the “story” behind it. On one occasion Nana had a photo album that I had never seen before and it contained special pictures of her prior marriage. One picture in particular was of great interest to me. The picture was taken in 1919 when my grandmother was 18 years old. The photo shows my grandmother sitting with two of her friends on a lawn. All of the girls are wearing long white gowns with a white cloth on their heads. On their foreheads the white cloth sported a red cross. She explained to me that she and her friends volunteered at the American Red Cross in Menasha, WI. There was a terrible war going on in Europe and many soldiers and civilians needed their help. After school she and her friends went to the Red Cross and ripped apart long cotton petty skirts (now known as slips) into long strips. The men at the Red Cross office bundled them together in bales and they were sent to the war front to be used as bandages. That photo is framed and currently hangs on the wall in my Stevens Point office. Nana’s special picture has been in many of my presentations and displays for the Red Cross. The picture travels with me frequently. Prior to my birth, my father was enlisted in the Navy. He knew his Aunt Francis and Uncle Luther were expecting their first child. While on ship he suddenly received bad news – Uncle Luther was killed in a plane accident. He received the message from the Red Cross. Soon after he received another message – my Aunt Francis had delivered a beautiful baby boy. Would he be the godfather? Naturally my father agreed-he recited the religious oath from the ship’s control room over the radio (somewhere close to the Philippine Islands) – all arranged via the Red Cross! My Aunt Phyllis Petts of Neenah, WI, spent many years as a Red Cross blood volunteer until her death. I received her Red Cross volunteer pin from my cousins after the funeral. I guess it was destiny for me to work for the American Red Cross. I am excited to be part of a family tradition that has followed this organization for such a long time. When I refer a blood drive, sell an AED, discuss Services to Armed Forces (SAF), or recommend our volunteer program, I know “someone above” is smiling down at me – and feeling proud. Sherri Galle-Teske supports the Preparedness, Health and Safety Services in both Wisconsin and Michigan. As February is National Heart Month, it is important to know that Sherri’s support of Preparedness, Health and Safety Services includes helping people obtain AEDs for their home, business, school or organization. AEDs, devices that analyze the heart’s rhythm and, if necessary, deliver an electrical shock which helps the heart re-establish an effective rhythm, are an important element in reducing the number of cardiac arrest deaths. In addition, the Red Cross offers AED program management, maintenance and service. To learn more about AEDs or the Red Cross AED Program, contact Sherri via sherrigalle-teske@redcross.org. Click here to view full-size flyer. The weekend after Thanksgiving I was so excited to get out all my holiday decorations and go to town decorating in a new space. I moved into a new duplex seven months ago and this was my first Christmas in my new place. What makes a place feel cozy and warm during the holidays –candles and lots of them. I have been with the American Red Cross for almost 15 years, so I know candles are dangerous. According to the National Fire Protection Association, one-fifth of home decoration fires occur in December, and over half of these are started by candles. 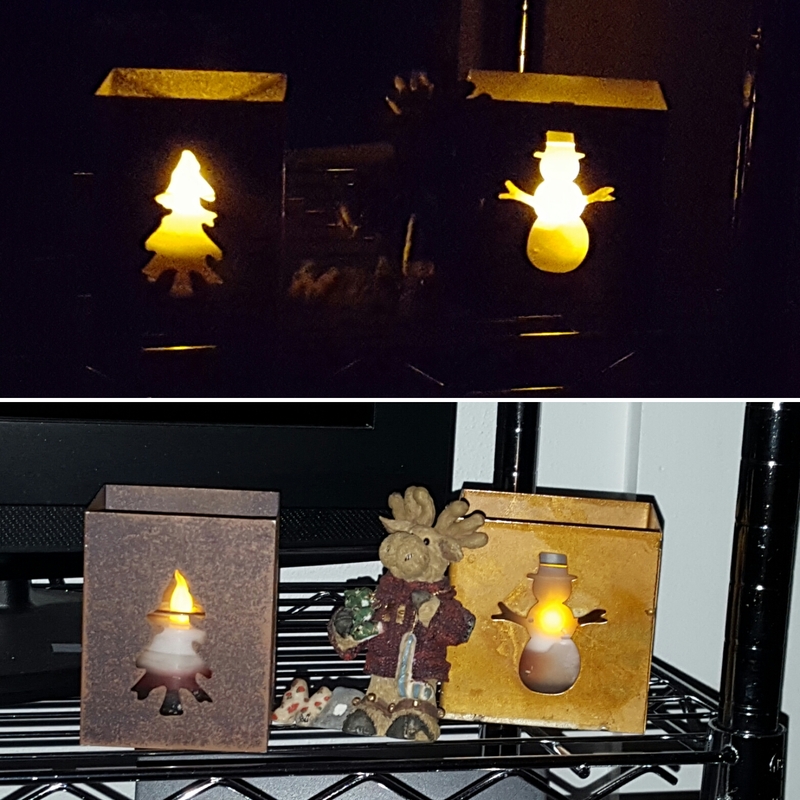 This year, I transitioned to the battery operated candles. I know you are thinking, it is not the same…. But yes, it really is. Battery operated tea-lights are all over my house and you cannot tell the difference from a real candle. They are available in all sizes, shapes and colors. I went to Michael’s Craft Store and was floored by all the different varieties available. I know they don’t give off any scent, and part of the holidays I love is the smells of cinnamon, pine and vanilla so I also invested in an aromatherapy room mist in all my favorite scents and for when I have guests. At first you might think they are expensive, but when you look at the cost of your house burning down or investing in battery operated candles, that price tag soon becomes a non-factor. They also provide peace of mind. If I go to bed or leave my house with one of these candles still on, I don’t have to worry about it. This is just one small change I am making this year so my holiday is a little safer. The Red Cross offers these additional tips to keep your home safe during the holiday season. If you do decide to burn candles, make sure to keep them away from children, pets and decorations. Choose decorations and artificial trees that are flame resistant or flame retardant. Place away from heat sources and exits. Water real trees daily. 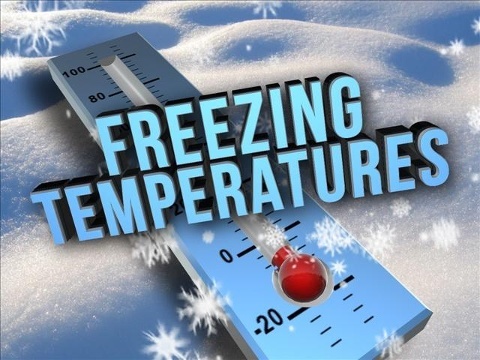 Never leave portable heaters or fireplaces unattended. If hanging stockings on a fireplace, do not use the fireplace for fires. On average, 7 people die and 36 people suffer injuries from home fires every day. Fire experts agree that people may have as little as two minutes to escape a burning home before it is too late. The Red Cross’s Home Fire Campaign works to reduce this number by urging American to follow two simple steps: check existing smoke alarms and practice home fire drills. 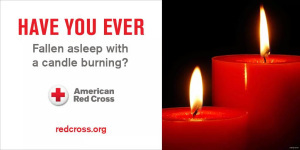 People can visit www.redcross.org for more information on how to protect themselves and their loved ones from home fires.